C.Crane is here o help you improv eyour WiFi signal wherever you are! Relocate your wireless router to the middle of your house. This is the most effective way to maximize your home WiFi coverage. If you have DSL or cable internet then it is likely that you have several other cable or telephone jacks in your house. Any one of these jacks can be used to connect your modem/router. It is not necessary to move your computer; just add a WiFi adapter to it for wireless communication. Position the antennas on your router vertically. Although they can be positioned at various angles, your best results for covering larger areas will be vertical positioning. The reason for this is because the signal pattern is not a bubble but is flat like a pancake. 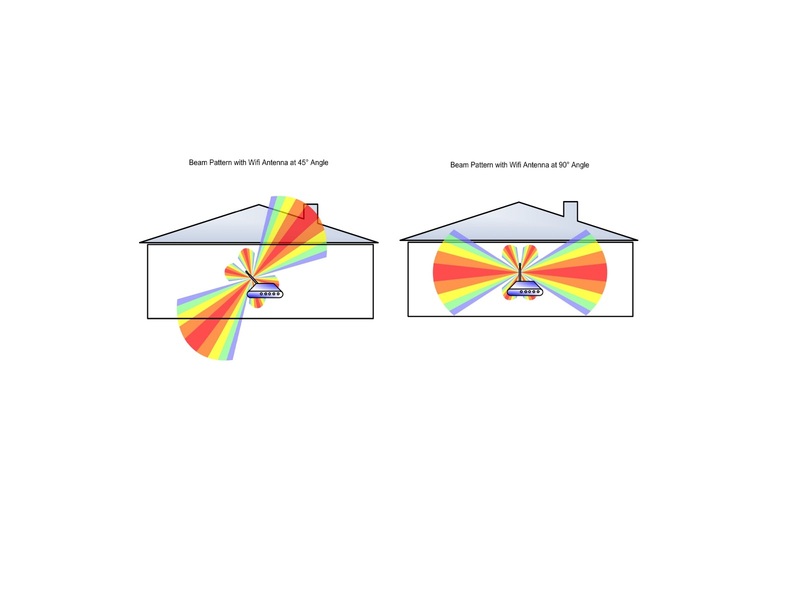 If the antenna is placed at a 45 degree angle then most of the beam pattern will be pointed at the ground and roof. Elevate your WiFi router off the floor or a metal surface. For best reception, place the router on a wood table or desk. For even better reception, place two or three of those old encyclopedias under your router. WiFi can usually pass through soft materials like books and wood without too much trouble. 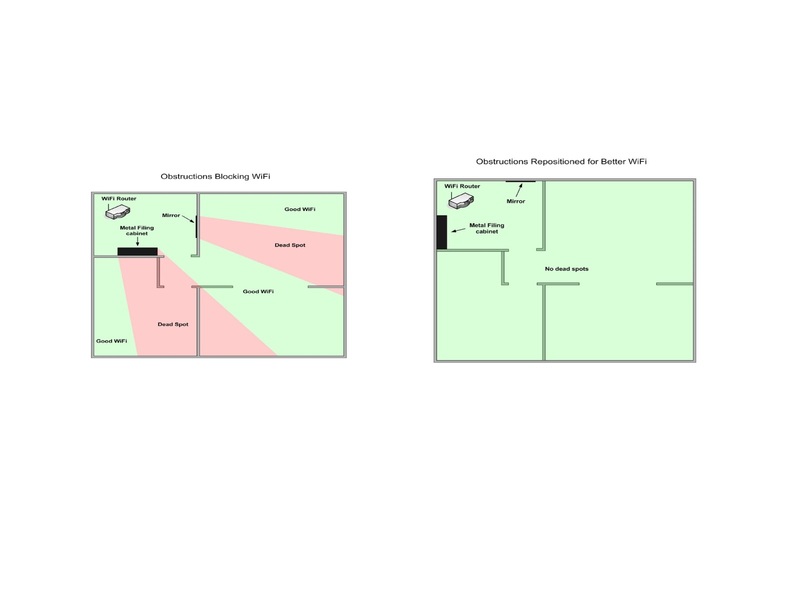 Reposition dense obstructions in your home so that your routers WiFi signal path can reach your WiFi device. Some common household obstructions include mirrors, metal filing cabinets, kitchen appliances, bathroom fixtures, and furniture. Basically anything metal, brick, stucco, porcelain, tile, or hardwood will hinder or stop WiFi. Foil covered insulation will also stop WiFi. 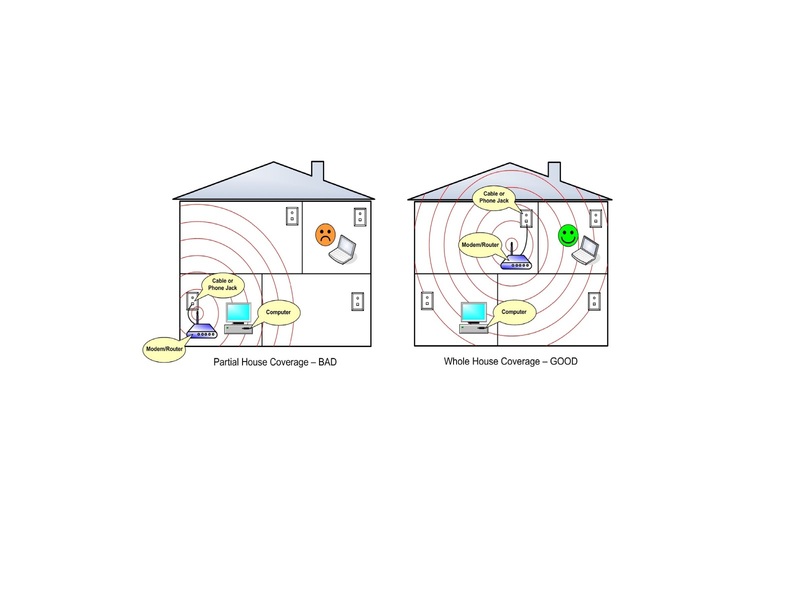 Move or shield interfering devices that use the same frequency as WiFi. Most people don’t realize that they are experiencing interference on their WiFi network because it is still operational. 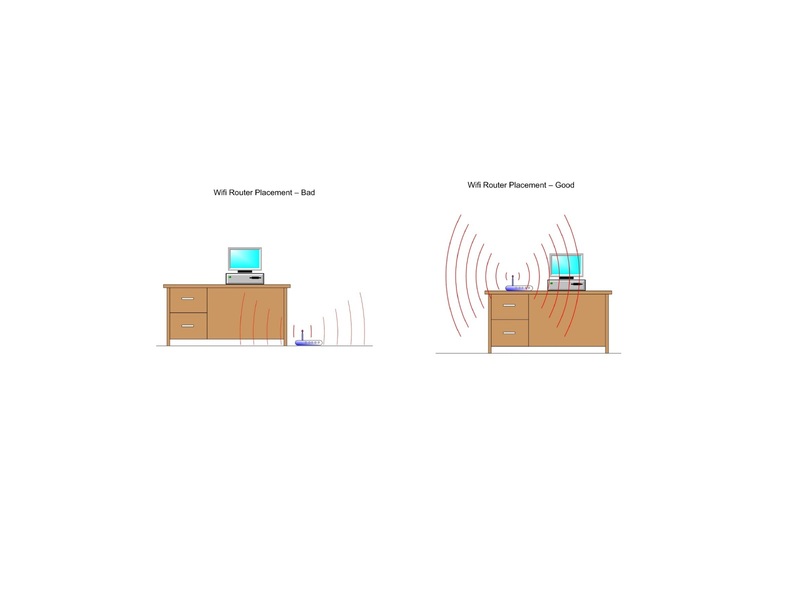 Interference can reduce the speed or momentarily pause WiFi network communications. Some common causes of interference are microwave ovens, baby monitors, cord less handsets, Bluetooth devices, garage door openers, fluorescent lights, and bad electrical connections. One possible solution is to change your router channel. It is better to remove the interfering device completely but this is not always a practical solution. 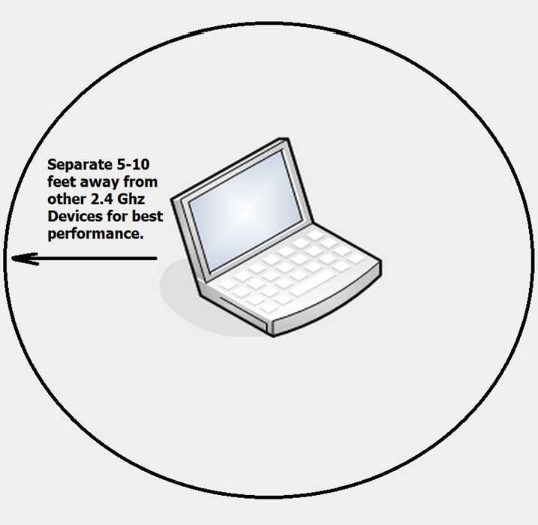 In this case try moving the interfering device as far away from your WiFi equipment as possible. You can also try shielding the device using aluminum foil or a metal sheet. For more information to Improve WiFi or if you have any other questions, please contact us.